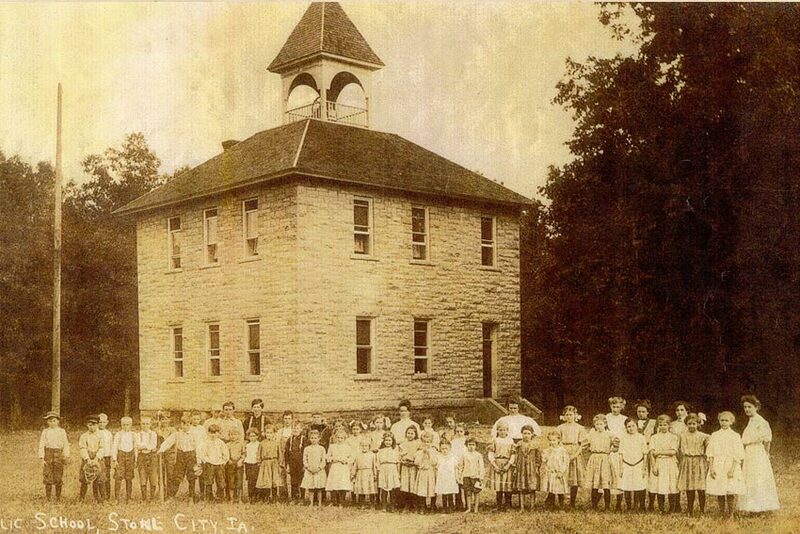 The Stone Schoolhouse was built in 1898 and replaced two smaller schools to the north and south. It employed two teachers and eight grades of instruction. 1911 school census records an enrollment of 43 students. It was an active school until the 1947 when the area affiliated with the Anamosa system. It was later purchased for $100 by village trustees. Stone City residents raised $3,000 to convert the school to a present-day Stone City Community Center. When a new roof was installed, the bell tower and bell were removed and never replaced.